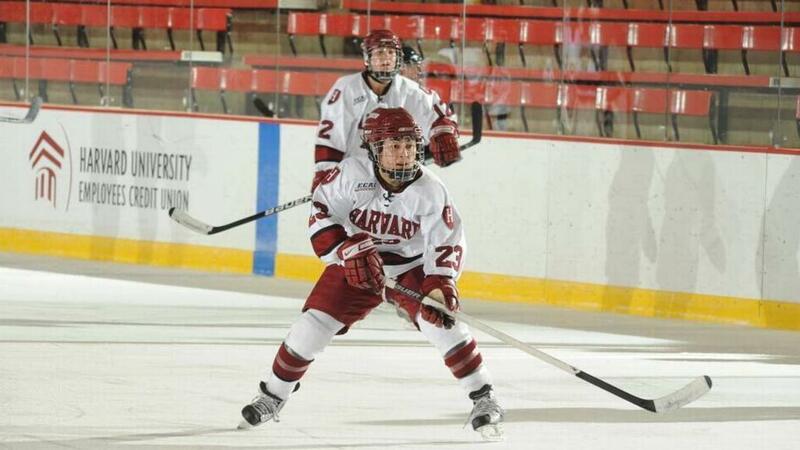 July 10, 2018 – Randi Griffin, the former Harvard forward who in February played for the Unified Korea Olympic Team in Pyeongchang and scored that team’s first-ever goal, has signed with the Connecticut Whale for the 2018-19 NWHL season. In addition, the team announced the signing of AHCA All-American Sarah Hughson and re-signing of second-year player Hanna Beattie. “I’m delighted to be part of the Whale as we contend for the Isobel Cup, and grateful to the NWHL because it’s an incredible platform to be able to train and compete while continuing to play for Team Korea in international competitions,” said Griffin, 29. “The Whale were my first choice because I live in Connecticut and they clearly have the best uniforms!" The North Carolina native played at Harvard from 2006 until 2010. The 5-6 forward had her best year as a senior when she scored 11 goals and added 10 assists for 21 points in 34 games and was a finalist for the ECAC Hockey Student-Athlete of the Year Award. Before playing for the Unified Korea Olympic Team – and scoring in a game against Japan – Griffin played for South Korea at the World Championship in 2017 and 2018. “My teammates on Team Korea are definitely among my top inspiration to keep playing,” said Griffin, who is graduating from Duke with a PhD in Biological Anthropology later this summer. “As long as I'm having fun and keeping up with the kiddos, I want to keep going. Plus, I want to see my teammates at the World Championship in China next year!" Hughson, a Connecticut native, was an AHCA First Team All-American last season at Elmira after going 28-21-49 in 30 games. Beattie played 12 games in her rookie season with the Whale in 2017-18, after playing four years at Williams.